High Quality Matcha Green Tea | The Jasmine Pearl Tea Co.
Matcha isn't just tea. It's an experience that begins with tea leaves grown and harvested with extraordinary care. Tea farmers work in harmony with their environment to grow, shade, and harvest the most precious young leaves from tea bushes. Our trusted matcha manufacturers carefully test each batch of these prized tea leaves for flavor and quality. Stems and veins are meticulously removed, leaving behind only pure leaf material. The tea is then slowly ground into a fine powder using hand-carved granite mill stones—it takes an hour to grind just one ounce of matcha! Finally, fresh matcha is air-shipped to us at The Jasmine Pearl Tea Co.
We source only 100% pure matcha with no fillers or color enhancers. Our matcha has been rigorously tested for caffeine, nutritional content, pesticides, and radiation. We currently have two carefully-selected sources: Ceremonial Grade from the Aichi prefecture of Japan and First Flush Matcha from the Kagoshima prefecture. 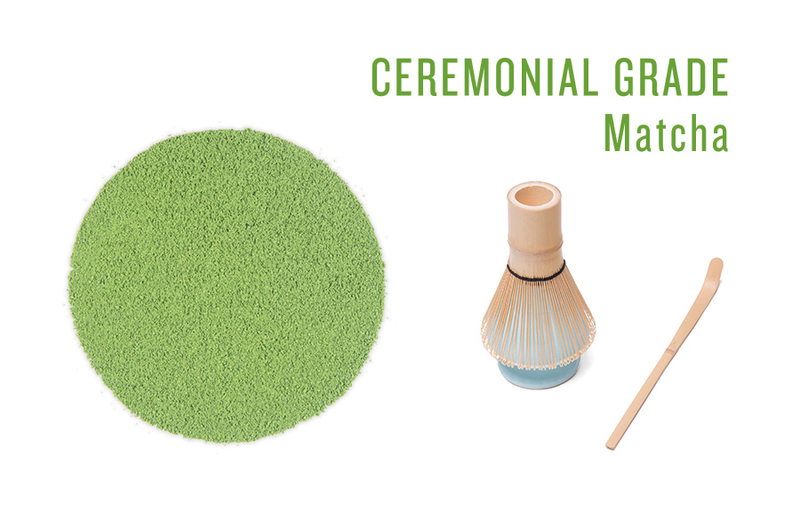 Ceremonial Grade is intended for traditional preparation, with a whisk and bowl while our First Flush Matcha can be used for smoothies, desserts, and many other cooking applications. High-quality culinary matcha is also used in our signature Matcha Latte mix, blended in-house with a touch of cane sugar and fruit pectin. We use only enough sugar to perfectly sweeten the latte—with just 10 grams per tablespoon, our Matcha Latte contains far less sugar than most sweetened matcha mixes on the market. The addition of fruit pectin helps to suspend and slightly thicken the latte. 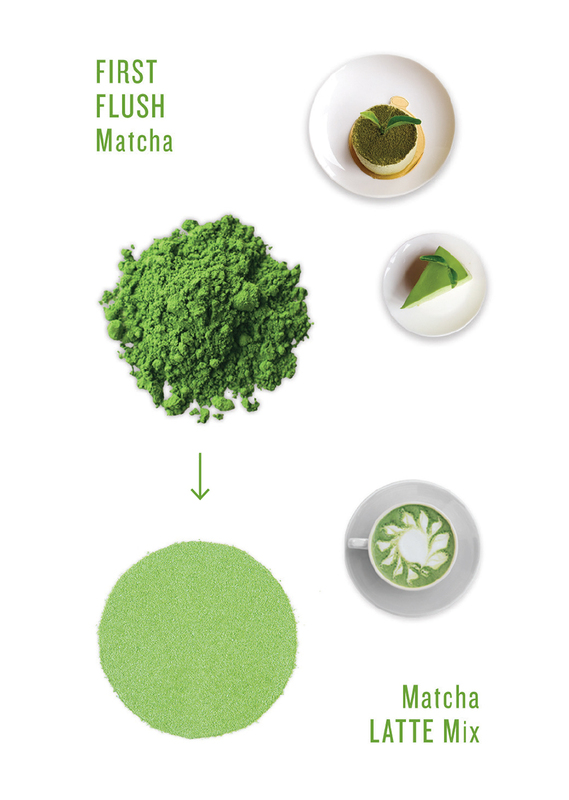 We encourage you to learn more about matcha! Discover the beauty and tranquility of Japanese Tea Ceremony by attending one of our monthly Chado demonstrations. Pre-warm your mug with hot water. Whisk one teaspoon unsweetened Matcha with 2 oz. of water with a bamboo whisk until smooth and lightly frothy. Add 14 oz. of steamed milk or dairy alternative and enjoy! Mix one level tablespoon of Matcha Latte mix in 2 oz. of 200° F water until smooth. Add 10 oz. of steamed milk or dairy alternative and enjoy! In a 16-oz glass, mix one level tablespoon of Matcha Latte mix with 2 oz. of 200° F water until smooth. Stir in 10 oz. of cold milk or dairy alternative.